Zacharo is the commercial and financial centre of the region of Elis (Ileia) and serves as a connecting point for Patras—Pyrgos—Kalamata, thus making it easily accessible for visitors coming from different nearby regions and places. The economic strength of the local economy of Zacharo lies in the agricultural and tourism sectors with the agricultural sector making up for tremendous portion of the local residents’ income. Agricultural activities are concentrated mainly on the cultivation of olive oil, raisins, tomatoes, vegetables, wine (red, white and rosé) and legumes. However, over the past 10 years, Zacharo’s local economy has continued to experience slow or no growth as with the national economy as part of the upshots of the debt crisis. The concentration of economic activities and the high dependence of the local economy on agricultural and tourism sectors seem to pose a fundamental problem to the local economy since these activities are highly seasonal. Like many other small and medium-sized companies, particularly those located in rural areas, local businesses in Zacharo have been less likely to export. The fact is that, with overseas markets growing and the demand for Greek healthy agricultural products (e.g. Greek olive oil, Greek yogurt) getting high, there are many unexploited opportunities for these companies. There are several reasons why exporting is of great importance for rural economic development, and for Zacharo’s economy in particular. Firstly, business activities can strongly grow through exporting, especially when there is a downturn in the domestic economy. Secondly, local businesses that expand their operation border tend to hire more employees to keep up with rapid growth, which will help partly solve the issue of unemployment due to crisis in returns. Last but not least, companies that increase sales through exporting will need to expand or upgrade their production capacity in a way to grow their physical plant and equipment to fulfil orders, which may directly improve the trading status of the local businesses in general. According to all the above-mentioned facts, understanding the criteria to evaluate the willingness level of Zacharo’s businesses in exporting, based on which local authority or other business development centres can propose effective solutions, has now become one of the top-priority problems to be focused for the development of the town. For that purpose, it is necessary to examine one local company who has been exporting its products to other countries so as to provide guideline or recommendations to motivate other local businesses to go global. Therefore, this study aims at evaluating the export readiness of a company in the field of agriculture in Zacharo utilizing the interview method, and then provide some lessons-learnt for local businesses. The case company - ΗΛΙΣ (/i'lis/) company – was chosen because it is located in the town of Zacharo (Tholo, Municipality of Zacharo, Ilia county) and, most important, the company has successfully exported to several countries (e.g. England, Norway, etc.). 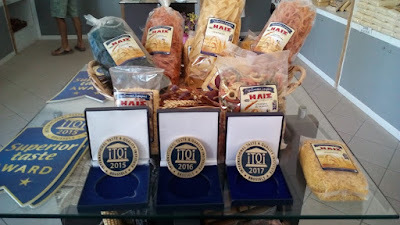 ΗΛΙΣ company is a pure Hellenic family business established in 1967 that produces naturally dried pasta, based on the traditions of the land of Elis (Ilia), all the while encouraging diversity and initiative. The owners of the company proudly committed “to continue creating products with the utmost care and absolute attention to our production practices, so that every family shall enjoy excellent products.”. For the purposes of this study, an export ready company can be defined as the one that has, at a minimum, the drive, experience, financial resources, and capacity to successfully meet demand for its product in a foreign market. With this in mind, we specifically address some of the more important aspects to be examined in order to determine whether a firm is export ready within the context of the business communities where they operate. Does the company have, at the very least, some experience in fulfilling orders in a market outside its own? Does the company have an existing contact person or team dedicated to exporting? § Does the company produce a unique product or service? § Does the company possess the ability to modify the product to meet market requirements or demand? § Does the company have sufficient capacity currently? § Does the company have sufficient financial strength and resources to develop new markets? § Can initial expenditures be adequately absorbed for activities such as advertising, promotional material, and the cost of market visits? § Does the company have sufficient cash flow or access to credit/working capital? § Does the company have a marketing strategy for the export market? § Does the company have adequate marketing/promotional materials in place (e.g., brochures, catalogues, and Web sites)? ΗΛΙΣ company is a family based one and does not have managers or staff familiar with export procedures or more generally with foreign markets, customs or languages. Experience of this kind is not critical because the company exported through a domestic intermediary which already has the necessary expertise. However, in case that the company intends to export by its own means, it cannot afford to hire some export-experienced staff. Additionally, there are key differences between domestic and foreign selling that include different payment terms and methods, different currencies, and different documentary requirements for invoicing, packaging, labelling, shipping, etc. More critical still are the vast differences in language and culture among countries. The case company has already exported to several countries such as the United Kingdom, Bahrain, Norway. Experience, while obviously an advantage, is not a necessity if the company exports through a domestic intermediary, as it happens in the case of ΗΛΙΣ company. If the company would rather handle its own exports, it can overcome initial inexperience by hiring a professional or training someone internal. ΗΛΙΣ should also make use of public and private services available to help businesses along the way (e.g., Chamber of Commerce, national and local export guiding centres, freight forwarders, banks, etc.). Besides, ΗΛΙΣ company has also received several unsolicited inquiries from foreign firms, which is evidence that potential overseas customers have at least heard about the company and that they want to know more about it. The company should consider exhibiting at some domestic trade shows to attract more foreign buyers. For direct overseas introduction, the Internet is a possible option with acceptable cost and may trigger unsolicited orders or inquiries. Ever more, the company is developing its own Web site to promote its products. This way, ΗΛΙΣ can also gain worldwide Internet exposure. The fact that ΗΛΙΣ company has been well-known and established domestically within the industry is definitely a strong point in exporting because recognition and acceptance are valuable assets internationally which imply stability and reliability. Foreign customers need to feel that they can count on their suppliers over the long haul. Moreover, the company can think of translating its positive reputation at home to build credibility and confidence out of the country by, for instance, applying price and other incentives to attract foreign buyers. The interview revealed that ΗΛΙΣ’s production lines are compared favourably with domestic competitors in terms of features and benefits. ΗΛΙΣ offers a wide variety of products to the local market with more than 50 types of pasta of different sizes, materials, shapes, and flavours. Besides, the firm would be willing to adapt its products and packaging to better suit foreign markets, which could greatly increase their market options. Foreign markets differ not only from the domestic market, but also from each other because of cultural differences, business practices, etc. These differences may prevent a product from being allowed to enter the market or becoming able to appeal to potential buyers. Foreign buyers, for example, may require modifications in the product to make it more affordable, or to better comply with local preferences for sizes, tastes, health regulations, etc. Thus, flexibility in product design, packaging and promotion may well be crucial in certain markets. 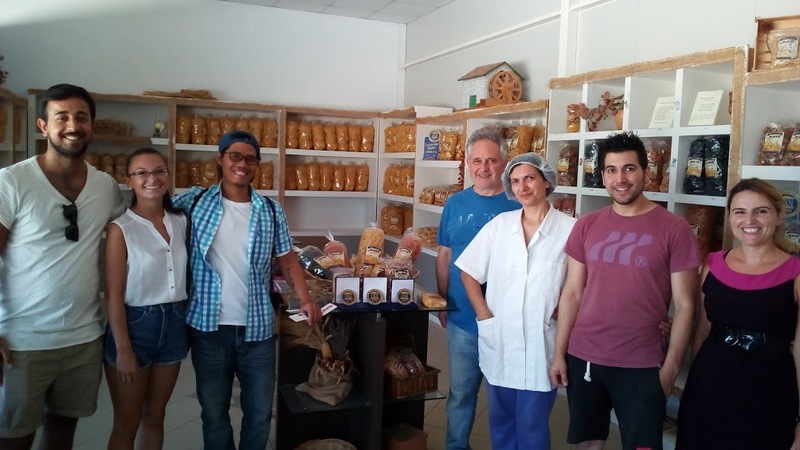 However, ΗΛΙΣ’s pasta products have a low tolerance for harsh or widely varying environmental conditions, which may limit their options to enter, for instance, environmentally favourable markets. Many products can tolerate different environmental conditions up to a point, but lose effectiveness as extremes are approached (e.g., abnormal temperatures, humidity, altitudes, pollutants, etc.). The more sensitive the product to these changes, the more method required to protect it against the elements. Protection could be as inexpensive as strengthening or insulating the packaging, or it could involve more costly measures, such as altering the product itself or storing it under controlled conditions. ΗΛΙΣ’s current share of the domestic market is estimated at around 11-20%, which reflects a significant competitive advantage. Due to the fact that competition is even more intensive abroad, companies may also need to consider of improving their pricing policy, better adapting their products to specific market needs, and more actively supporting their distributors and customers. Besides, the case company would have great advantage in filling new export orders from present inventory or other sources (productivity at 1 ton of pasta per day). Their outstanding ability to produce and deliver promptly will surely help them gain trust from customers. Foreign buyers are not less anxious than local customers to get what they demand. Thus, the company should never incur backlogs or delivery delays that could disappoint customers. In case they need upfront money to produce or acquire the quantity sought, they may try to look for financial support in order to secure working capital. The main focus of ΗΛΙΣ company is the continuous improvement of the business performance in a way to achieve maximum customer satisfaction by creating additional value; ΗΛΙΣ takes into consideration all active regulations, the rapid development of technology and environmental issues in producing high quality products. For that purpose, the company has been certified by LETRINA SΑ for the quality assurance systems that it has developed and applied, ensuring the top quality of its products. More specifically and according to the Codex Alimentarius standard, ΗΛΙΣ has been HACCP certified on quality control and assurance of its products on every critical control point of pasta production (raw materials to finished product). Additionally, ΗΛΙΣ has been certified on Food Safety Management System, in accordance with the ISO 22000:2005 International Standard. Besides, all physiochemical and microbiological testing takes place in certified laboratories and are applied to all products produced or promoted by ΗΛΙΣ. In three consecutive years (2015, 2016 and 2017), ΗΛΙΣ company was awarded with the Superior Taste Award from the International Taste and Quality Institute (ITQi) in Brussels. The conducted tasting follows a strict procedure of organoleptic analysis. ΗΛΙΣ’s products were deemed remarkable with a total score of over 80%. ITQi’s tests fall under the supervision of the Belgian Ministry of Economic Affaires – Market Organisation. The certifications are surely a reliable assurance of superior quality and represent a great competitive advantage of ΗΛΙΣ in producing high quality products. The case company’s adequate financial situation allowed it to commit more than EUR 5,000 per year for export development. Costs of exporting can be kept to a minimum, but can't be avoided altogether. It would be very costly to establish market identity abroad, attract buyers, and build strong relationships with distributors and customers who will hopefully pay off in high, ongoing sales and profits. There may be other costs not encountered in domestic selling as well, such as for design changes to adapt the product to a foreign market, translations, sales trips abroad, etc. Clearly, firms with stronger, more flexible resources are in a better position to absorb these incremental export costs. If internal funds of the company are not available for export start-up or working capital, they can consider export financing programs offered by the EU. Alternatively, the company could save upfront costs by keeping on exporting through an intermediary. They already have relationships abroad and will incur the initial costs to find customers and generate orders. The company would mostly pay only when any business actually results, basically in the form of a commission based on a percentage of the sales price. 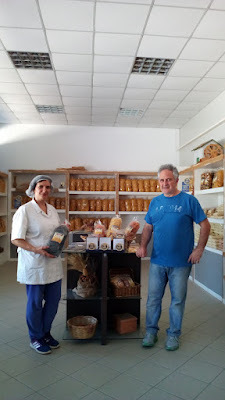 ΗΛΙΣ company has established a regional distribution network in the target markets that help the company in exporting. Most exporting is done through local agents or distributors in each market. Local distributors speak the language, know the market, and know where the customers are and how to reach them. Besides, the case company sometimes conducts market research (mostly utilizing personal contacts) and plans for their domestic operations. That could be a recipe for success in exporting. Systematic market planning is essential to exporting. Analysis and planning are even more critical overseas and can be instrumental in avoiding costly mistakes. Exporters may encounter different demand types abroad, different languages, cultures and environments, different laws and regulations, etc. Long-term success in exporting requires an awareness of these differences, an accurate assessment of the resulting potentials and pitfalls, and a strategy to deal with them in each target market. In addition, ΗΛΙΣ company puts a lot of effort on domestic advertisement and promotion. When exporting, the company may compete not only against potentially more experienced exporters from other countries, but also against domestic competitors aiming at the same target market. Companies generally need to promote even more aggressively abroad than they do domestically. Most companies have adequate media and can support any of the methods that would normally apply to their products, including direct mail, telemarketing, press releases, paid ads, trade shows, sales trips, Internet directories and Web pages, and e-mails. Costs, however, could also affect the company’s approach. In a nutshell, from the case of ΗΛΙΣ company in Zacharo, it is advisory for Small and Medium sized Enterprises (SMEs) that exporting is worth considering only if they are an established, successful company having unique products. Besides, the SMEs already sell quite successfully against imported products and have a strong finance base to support their export endeavours for a period of 12 to 24 months without necessarily generating any immediate income. Last but not least, the companies should not only have good contacts in their sector abroad that must be ready to support and assist them, but they also need to have the necessary skills and know-how within their own firm in order to become ready to start exporting. Αναρτήθηκε από Dioni LDC στις 10/17/2017 04:52:00 μ.μ.